In modern times, as society has become increasingly intolerant of damage to the environment, criminal prosecutions for pollution from ships have become increasingly common. This increase results partly from growth in the volume of regulations to protect the marine environment, most of which provide for their enforcement by penal sanctions; and partly from greater rigour on the part of states, particularly coastal states most vulnerable to pollution, in monitoring compliance with the law and in taking measures against suspected offenders. The case for greater rigour has been supported by the fact that small minorities of seafarers and ship operators have continued to make or condone illicit discharges at sea of oily water and other wastes generated in the course of shipping operations. 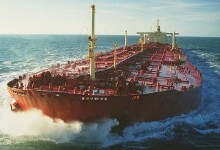 It has also gained impetus from rare but disastrous cases of accidental pollution, involving the break-up at sea of ships in circumstances appearing to indicate sub-standard ship operation and maintenance, and causing the release into the environment of large quantities of oil carried as cargo or bunker fuel. While few objections could be made to more stringent measures against proven offenders, greater use of the criminal law in this field has been a controversial development involving a number of contentious issues. An ingredient in this controversy is the fact that pollution from ships may occur in a variety of ways, resulting from different causes and involving very different levels of culpability. Illicit operational discharges involve a deliberate flouting of international law, but spills resulting from maritime accidents may signify no more than an error of navigation, and in some cases have resulted more from causes external to the ship than from fault of those on board. For a number of reasons there is less uniformity of law and practice in the international community in relation to criminal proceedings than in relation to civil liability for pollution from ships. Despite these variations, international law and practice does play a significant part in many criminal cases. Liability under domestic laws is often based on international standards, and international agreements may be relevant to a number of aspects including the assessment of technical evidence, as well as matters of arrest, extradition and bail. International law also limits the types of penalties which may be imposed in some cases and provides for certain other safeguards. The subject of criminal liability for pollution from ships is examined in Chapter 30 of Shipping and the Environment.